Can you identify the jewels worn here by Princess Grace of Monaco at a gala at the Palace of Versailles in 1973? Next month, a collection of jewelry will be going up for sale at Sotheby's in Geneva that includes a number of items owned by royals. Here's a rundown of some of the lots that may be of interest to all of you -- including a couple of mysterious items with anonymous royal connections. The Rosenborg Kokoshnik Tiara (Lot 450). 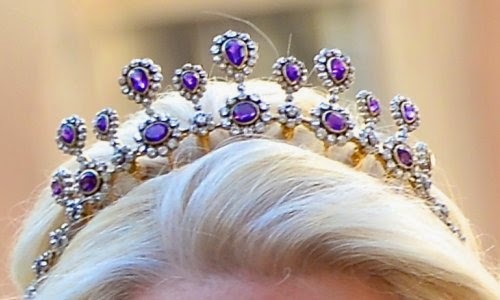 After failing to sell at auction at Bukowski's, the garnet, diamond, and pearl kokoshnik tiara that belongs to a junior noble branch of the Danish royal family is up for sale once more. 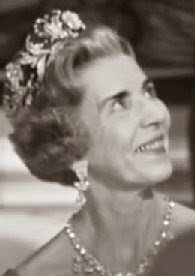 The price of the tiara, which was made in the 1930s by Dragsted, has been significantly reduced from its last offering. 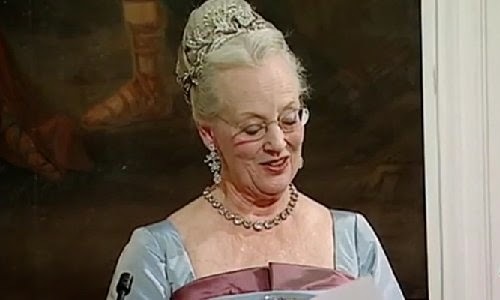 The most recent wearer of the tiara was Countess Ruth of Rosenborg, who died in 2010. 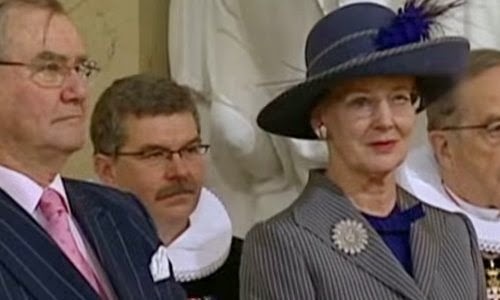 The family is descended from Prince Axel of Denmark (a grandson of King Christian IX) and Princess Margaretha of Sweden (the sister of Crown Princess Martha of Norway and Queen Astrid of Belgium). The Pearls of the House of Orange (Lot 384). 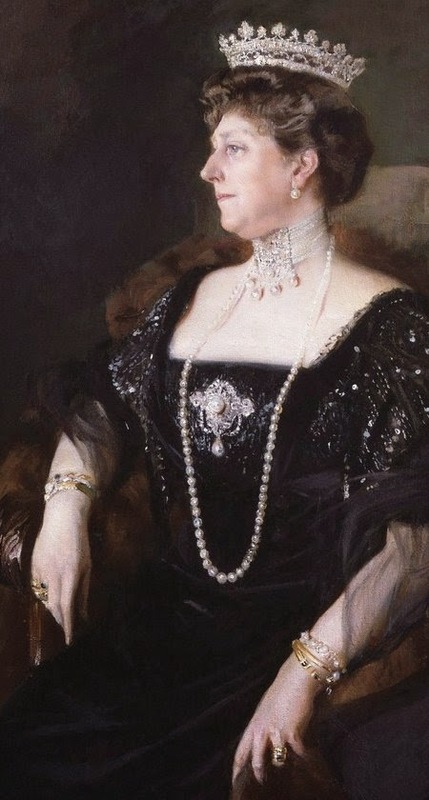 This necklace, made of pearls with a sapphire and diamond clasp, is being sold by Prince Eduard of Anhalt. 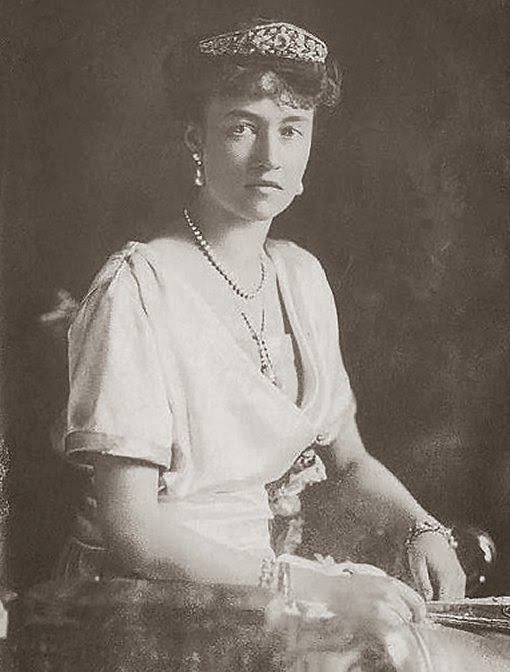 The pearls belong to descendants of Frederick Henry, Prince of Orange and his wife, Princess Amalia of Solms-Braunfels. The clasp of the necklace was reportedly added during the Napoleonic era. The Dowager German Empress's Pendant (Lot 382). This pearl and diamond pendant, which dates to the late 19th century, was part of the jewelry collection of Princess Hermine Reuss of Greiz, the second wife of Kaiser Wilhelm II of Germany. A Diamond and Pearl Floral Brooch (Lot 326). Offered by "a member of a royal family." 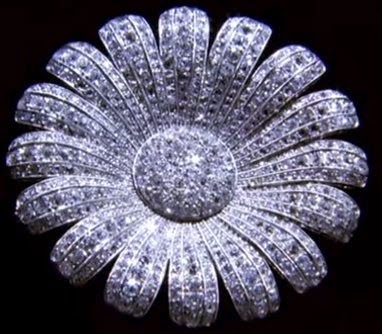 The late 19th century brooch is described as "a floral spray brooch accented with natural pearls and pear-, cushion-shaped, circular-, single-cut and rose diamonds." A Synthetic Sapphire and Diamond Demi-Parure (Lot 325). Also offered by "a member of a royal family." (Possibly the same royal, given the consecutive lot numbers?) The demi-parure consists of two pieces, a necklace and a bracelet, "composed of alternating pinched collet-set circular-cut synthetic sapphires and diamonds." Additionally, the necklace has five detachable pendant drops. A Yellow Diamond Demi-Parure (Lot 488). Part of "a royal private collection." Made by Harry Winston, this demi-parure consists of four pieces: a necklace, earrings, a bracelet, and a ring. (Which, if you ask me, makes it a complete parure, but I'm not in charge of the lot notes at Sotheby's.) 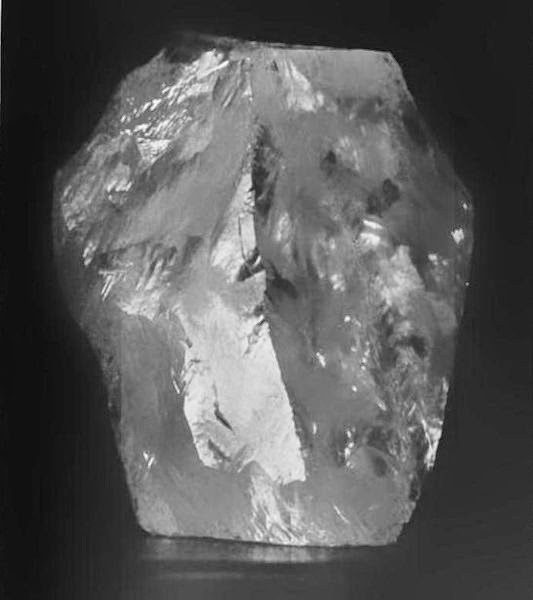 Most of the diamonds are described as having a "yellow tint," but the ring is set with a 16-carat fancy yellow pear-shaped diamond. An Emerald and Diamond Parure (Lot 489). Also part of "a royal private collection" (surely the same one as the previous lot). The set includes a necklace, a ring, and earrings. The emerald set in the diamond necklace is a 53-carat Colombian emerald; the emeralds set in the ring and earrings are heart-shaped. So, if you had a spare bundle of cash laying about, which one of these lots would you bid on? Are you surprised that some of these pieces are being auctioned? And -- most importantly -- which royals do you think are selling their bling anonymously??? Can you identify the jewels worn in this photograph by a young Princess Margaret? Yesterday at Windsor Castle, intrepid detective Jessica Fletcher actress Angela Lansbury was invested by the Queen as a Dame Commander of the Order of the British Empire. Every year, various Brits are made members of the order, entitling them to append initials like MBE, OBE, or KBE to their names. But what exactly is this order of chivalry, and who is entitled to receive it? The order -- the full name of which is The Most Excellent Order of the British Empire  -- was founded by King George V in 1917 as a way to honor British citizens who had made important contributions during the First World War. Notably, it was the first order of British chivalry to include female members. The motto of the order is "For God and the Empire." Today, there are separate civil and military divisions of the order, but the qualifications for belonging to either remain the same: members of the order must have made a significant contribution to the nation at the local, regional, or national level. The five ranks of the order -- Knight/Dame Grand Cross (GBE), Knight/Dame Commander (KBE/DBE), Commander (CBE), Officer (OBE), and Member (MBE) -- are generally awarded based on the scope of the member's contribution. For example, local achievements are often honored with MBEs, while a national contribution will be honored with a CBE or even a knighthood . 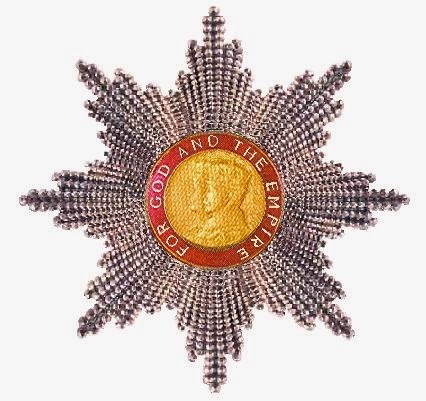 The Order of the British Empire is the most junior of the orders of British chivalry, following just after the Royal Victorian Order in precedence. Any Briton, man or woman, who has made significant contributions to the nation can be nominated to receive it. (Some citizens of Commonwealth realms are also entitled to become members of the order.) 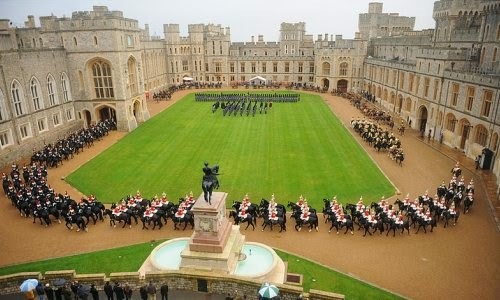 Occasionally, it's also awarded to foreign nationals to honor their contributions to Britain; this is usually done on an honorary basis, as members of the order are required to swear allegiance to the Queen. For example, Bill Gates is an honorary knight commander of the order, but because he's American, he's not called "Sir Bill" -- though he can use the initials KBE after his name if he wants. "Brilliant Gems to Be Sold"
There were placed on view yesterday at Christie's the dazzling jewels which were the personal ornaments of the late Mrs. Lewis-Hill, better known by her first married name, Mrs. Sam Lewis . Such a display of precious stones has not often been seen in a London auction room nor anywhere else. Experts say the sale of these rare gems, which will take place on Monday, will rank with the Dudley Gordon Lennox  and Anglesey  dispersals. Viewed as a collection, as they appear in the show cases, brilliantly lighted by electric lamps, it seems almost impossible that they should have been the property of one woman, and that woman not of very high rank in life. Great bunches of pearls, wonderful aggregations of diamonds, superb examples of rubies, emeralds, and sapphires greet the eye, and constitute a picture of extreme loveliness. The three most important items of the collection are a pearl and brilliant necklace, a brilliant tiara, and a great rope of pearls. The necklace is composed of fifteen huge drops, each comprising a bouton pearl, a large brilliant, and a very large and wonderful pear-shaped pearl. The fifteen drops depend from a band of lovely diamonds. The tiara is a great work of art. Sprays of diamond foliage bank the sides. Twenty-six collet brilliants fill up the center, surmounted by a great pear-shaped diamond of dazzling luster. The rope of pearls is made up of 229 gems, every one a thing of beauty, all artistically graduated on a single rope. The collection, by the way, runs largely to pearls, which are seen in rings, pins, brooches, and almost every other form of jewelry. Every woman who saw the display yesterday yearned to possess the whole of it . 1. Henry Jones Thaddeus's Portrait of Ada Lewis (1890); source here. 2. 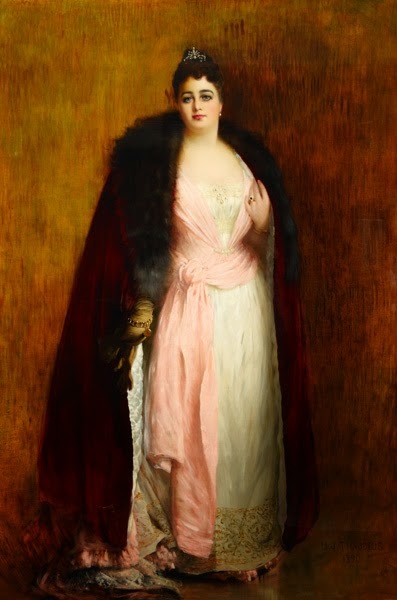 Ada Hannah Davis (1844-1906) was the wife of London financier Samuel "Sam" Lewis (1837-1901), who died and left her a fortune. She used some of the inheritance to establish scholarships in her name at the Royal Academy of Music. (She also gifted them a Stradivarius violin.) Ada was a musician in her own right, but the better-known musical talent in her family was her sister, the composer Hope Temple (who was herself married to the French composer and conductor André Messager). In 1904, Ada remarried; her second husband was William James Montague Hill. She died in London in October 1906. 3. I believe the sale referenced here is that of the jewels of the late Lady Henry Gordon-Lennox (née Amelia Brooman) at Christie's in 1903; more information available here. 4. 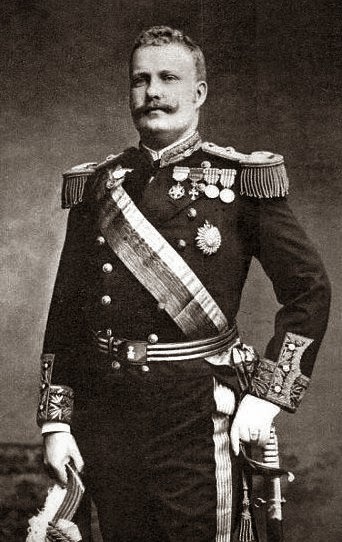 In 1904, the jewelry collection of the flamboyant 5th Marquess of Anglesey was auctioned to pay off his extensive debts. Read more here at the Guardian. 5. 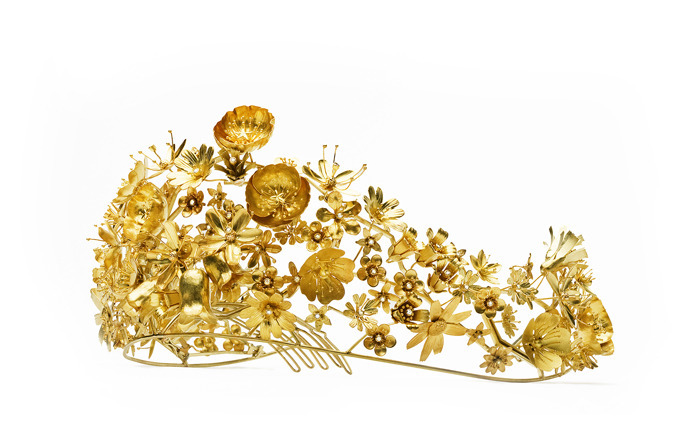 The estate, including the jewelry, ended up bringing a total of more than £130,000 at auction; see here. After a break to get over their jetlag, the Cambridges are back in action in New Zealand. Let's catch up on Kate's jewelry choices, shall we? Prince George, future king of New Zealand, stole the show once again at a playdate held at Government House on April 9. His mother wore pearl drop earrings by Annoushka, her Cartier watch, and a necklace by Mappin & Webb. George also demonstrated that he is as in awe of Kate's hair as the rest of the world is. 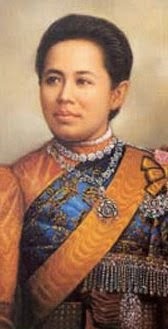 "Romance of Jewels of Siam's Queen"
When Jules Paul de Boseck reaches Singapore, one of the most remarkable trials of the age will begin in the local Criminal Court. Boseck, after a series of adjournments of his case here , has finally been remanded for extradition. 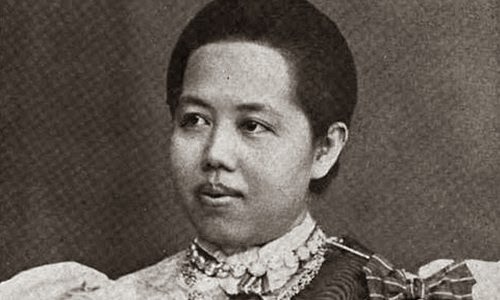 He is charged with receiving in the Straits Settlements jewels belonging to the Queen of Siam , which were alleged to have been stolen in the course of transit between London and Siam. In the last hearing at Bow Street Police Court before Curtis Bennett, Messrs. Bodkin and Roouse appeared for the prosecution and Chief Inspector Bower of Scotland Yard testified. Chief Inspector Bower said that on August 14, 1909, the police received a letter from the Police Commissioner at Bangkok, and the following month he got a box from the same official, which he had kept ever since. In court on February 9, the prisoner, in the witness's presence, read a deposition made in Singapore, in a paragraph of which the deponent said that Boseck deposited two large pearls, one of which he (the deponent) identified as the centre pearl of the pearl rope and the other as one of the larger pearls belonging to the same rope. "That is not correct. It was a book debt in respect of my racing. Otherwise I admit the whole of the information as correct. I do not dispute that I had the two pearls, but I do dispute their identity. Can I see them in this country? I know they are at Singapore." Mr. Bodkin then read a statement in writing made by the prisoner, and handed it to Inspector Bower. In it Boseck stated that he won 2,000 tickets (about $750) at a Siamese Government gambling house, and that it was universally known that he lent money locally on jewelry. While at the gambling house he was asked by a "steamer's clerk" who had lost all his money, and whom he knew by sight, for the loan of 100 tickets. 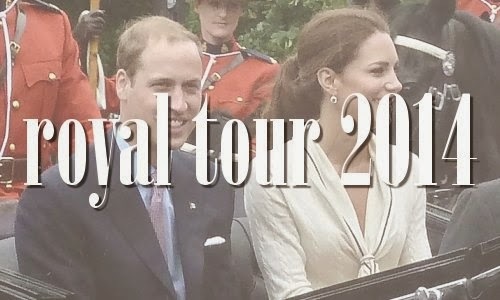 Unless you've been residing under a royal-watching rock, I'm sure you're aware that the Cambridges -- duke, duchess, and prince -- are on a royal tour of New Zealand and Australia this month. I'll be doing extra periodical updates to the blog with information on the jewels Kate's been wearing. Enjoy! William, Kate, and George arrived in Wellington, New Zealand on April 7, and Kate chose a piece of jewelry from the Queen's collection for the occasion. The brooch that Kate has pinned to her red coat is the silver fern brooch given to Queen Elizabeth II by the women of Auckland. It's made of diamonds set in platinum. The first tour that Elizabeth and Philip made to New Zealand happened in the summer of 1953 (that's the southern hemisphere's summer, of course), and they were in the country for Christmas. 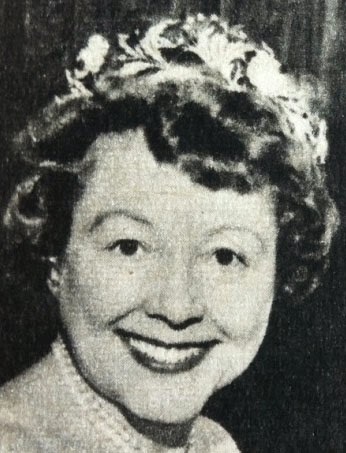 She received the brooch as a Christmas gift and wore it during subsequent engagements on the tour. 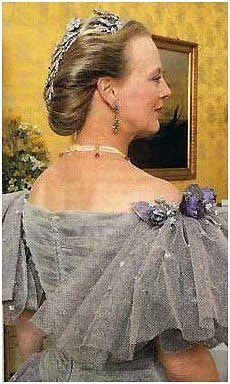 It's often seen on HM at events in or related to New Zealand, including her official portrait as Queen of New Zealand. If you delve deep enough into any royal tiara collection, you're sure to bump into a fringe tiara eventually. 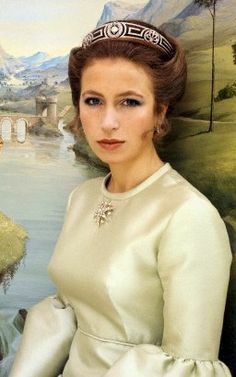 Nearly every royal family has at least one of the sparklers, in part because so many of them are descended from the Russian grand duchesses who popularized them in the nineteenth century. 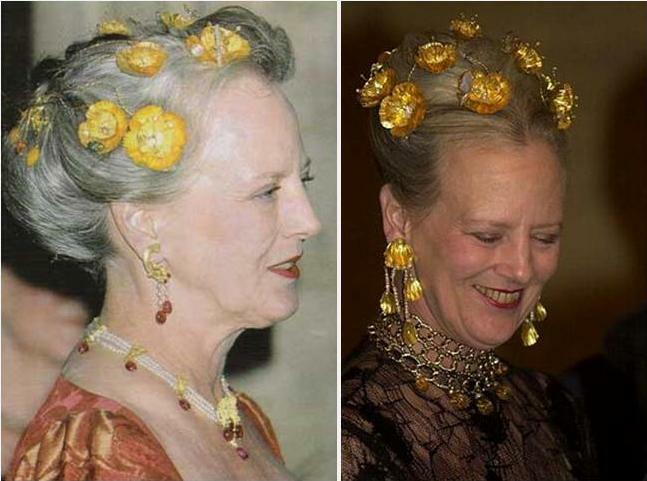 We’re used to seeing one Danish princess, Benedikte, wearing a flashy fringe tiara on a regular basis. 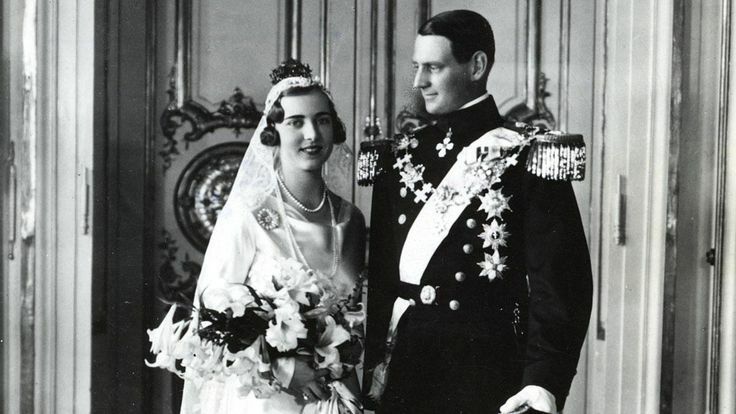 But that’s not the fringe tiara that actually comes from the Danish royal collection; Benedikte wears the fringe tiara of the Sayn-Wittgenstein-Berleburg family. 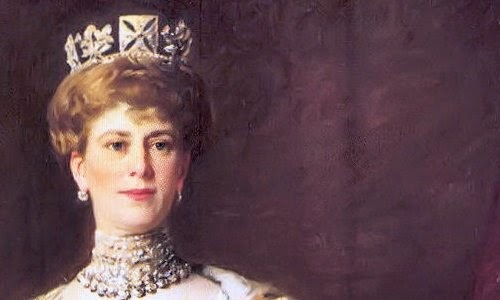 The Danish royal fringe tiara is today's sparkler: Queen Alexandrine's Fringe Tiara. 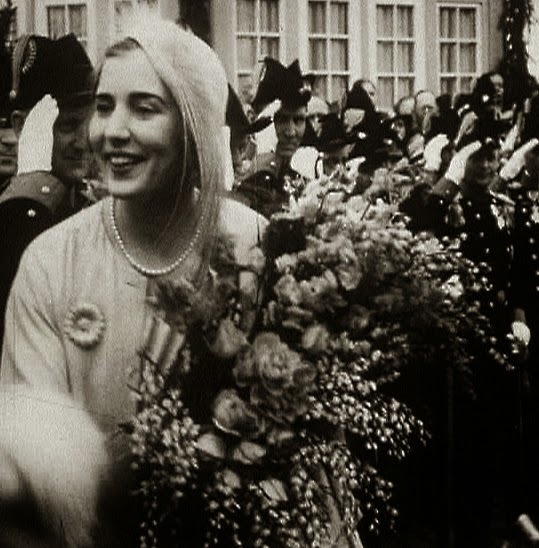 This tiara, like so many others of its kind, began its life in Russia. 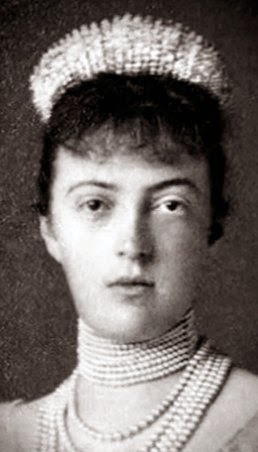 Tsar Alexander II gave it to his niece, Grand Duchess Anastasia Mikhailovna, when she married Grand Duke Friedrich Franz III of Mecklenburg-Schwerin in 1879. We've discussed before how popular these diamond fringe tiaras were in the imperial court of Russia. They were made to resemble Russian kokoshnik headdresses, and nearly every grand duchess received one in her wedding trousseau. Anastasia's fringe tiara is a bit unusual; rather than being set in precise geometric spikes, the individual fringes of the tiara are actually a bit curved along the edges, with round diamonds arranged in a row and pear-shaped diamonds at the tip of each fringe. 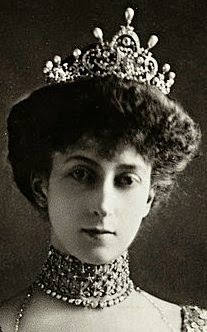 The tiara appears to be fuller in the photographs of Anastasia than it does on later wearers; this might suggest that the piece was altered at some point, but it might also be a case where the tiara was worn with a fabric kokoshnik behind it to make it look more solid. Anastasia, who you can see wearing the fringe tiara in the image on the left, was quite the scandalous grand duchess — she gambled in Monaco, had an illegitimate son with her private secretary, and was even (probably falsely) accused of killing her husband. The press today would love her. But in between all of that, Anastasia also managed to give birth to a future queen. 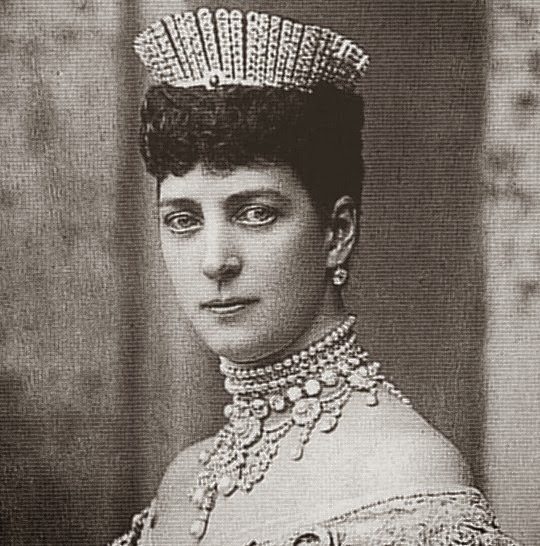 Her daughter, Alexandrine, married King Christian X of Denmark in 1898; she would be the next owner of the fringe tiara. 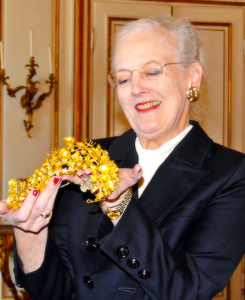 According to Alexandrine's granddaughter, Queen Margrethe II of Denmark, she wasn't that fond of wearing the elaborate royal jewels that she inherited from her Russian mother: "She was a very modest, really shy person. but for great occasions she would put on the jewelry that you would expect her to. But I remember that she did not wear a lot of jewelry." I'm interrupting our regular weekend schedule for a good reason -- official visit jewels galore! Stay tuned tomorrow for a "Sunday Sparkler" post! 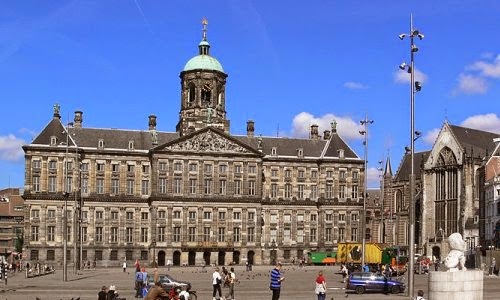 This year marks a significant milestone in Swedish/Dutch foreign relations: the 400th anniversary of the opening of the Swedish embassy in The Hague in 1614. To celebrate, King Carl XVI Gustaf and Queen Silvia of Sweden are making an official visit to King Willem-Alexander and Queen Maxima of the Netherlands this Friday and Saturday. You can read a complete schedule of yesterday and today's events here (in Swedish). 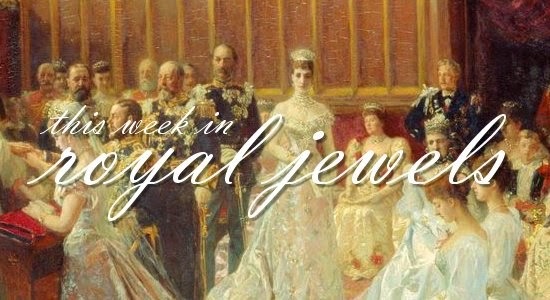 Friday's events were especially sparkling -- let's take a look at the queenly jewels on display, shall we? During the official welcome ceremony for the Bernadottes to the Royal Palace in Amsterdam, Queen Maxima and Queen Silvia chose daytime jewels: earrings, bracelets, and brooches (and of course, fabulous hats!). From a debut state banquet to a sparkling charity ball, here are the top royal jewel stories of the week! 10. Monte-Carlo went Russian on Saturday for the annual Rose Ball, a charity event in support of the Princess Grace Foundation. Princess Charlene, Princess Caroline, Charlotte Casiraghi, and Beatrice Borromeo sparkled alongside numerous other guests.